The"Fixations" played a great dance for us in 2012, and now after a year of Cathie's recovery from rotator-cuff injuries, we finally get them back (intact)! They're famous for their incredibly tight and compelling dance music, their rampant enthusiasm, and their international credentials. 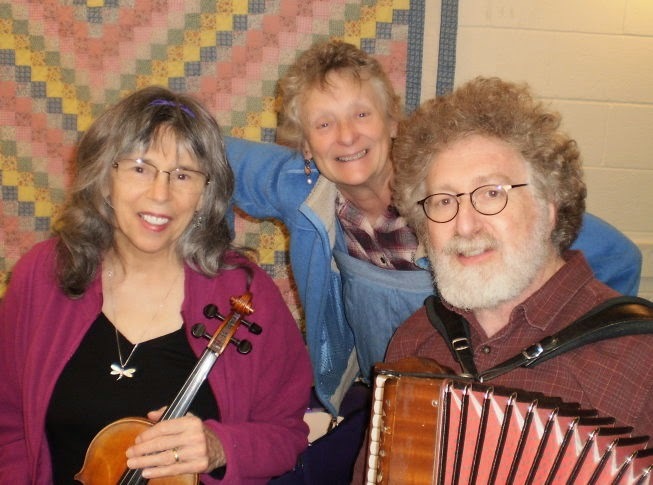 Featured at major contra dance camps and festivals in the country over the past 35+ years, their joy infects the entire dance floor, offering both new dancers and long-time pros a blissful night of fun. Laurie Andres has long been sought out to perform on accordion and teach music and dance because his phrasing is impeccably wedded to the dance. Sandy Bradley is a master guitar player, caller, and long-time host of the beloved radio program “Potluck”. 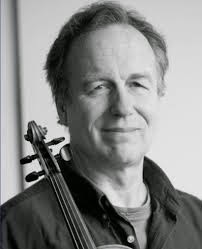 Cathie Whitesides’s Irish fiddle expertise was a quick fit with the New England-style contra tunes. Cathie, Sandy and Laurie met in 1980 and the musical chemistry caught fire. Tony Mates is one of our favorite guest callers from the Seattle area. He returns with this band because he likes their music so much. Remember, he'll give a workshop at 7:30. All other dance details are on the "About Our Dance" page on this website.